suggestions on how we can determine if the cabin is a type of landmark before it is destroyed? Thank you. Ms Marsh, We appreciate your concern about preserving a possibly historic building! Commission and hopefully someone will have info for you. It is actually in Williamson County. store, which he said closed in the 1960's. between 1892 and 1949. The small store was last run by Hobson Simmons and it was closed in the late 1960's." Simmons, Hobbs; Letter E. Laurence; Broadcaster, Jan. 1924; Deeds XLVII,147. Texas's rich history and heritage. for my sister. Would appreciate any information you may send my way. I do find his name in the 1918 graduates of Rockdale High School, but I have no other information on Mr.
Ms McMillan, Here's an old article that you may find interesting and perhaps would lead to photos. 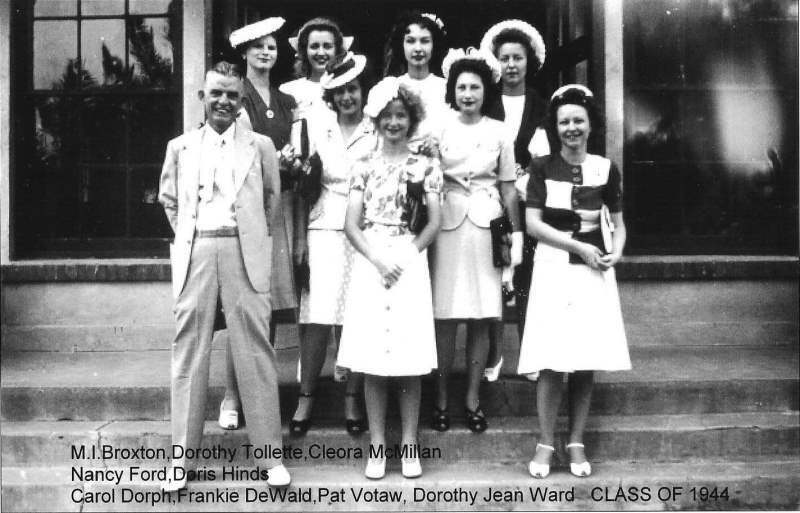 School Alumni might have the 1918 yearbook in question. Unfortunately, it appears that it is not available. only go as far back as 1939. It was then suggested that I try the Rockdale Reporter Newspaper Archives. the newspaper is Thursday, May 16th, 1918, with commencement on Friday may 24th, 1918.
it?. If so, all's well that ends well. We like happy endings. before-he was a wonderful man. Thank you so much for the work you did for me. Ms. McMillan, Thank you for your kind reply. also interred in Hillcrest Cemetery in Uvalde?. ago. The only remaining building is the grade school (1st to 8th grade). Sad. What is the MCHC website? How can I get there? Would love to see Mr. Broxton's post. Again, thank you for your responses. Means alot to me. submit a response to my request via email or phone call. Thank you for your time. will see a place where you may also download the four page application form. answer any specific or unusual question that you might have. should you have any printer issues. I had a lengthy discussion this morning with a Mr. Nathan Smith (88 yrs. of age), whose grandparents once owned your property. He is a life long resident of your general community and it appeared to me that he knew it intimately. He is a member of Pleasant Retreat Church, which we also attend. First off, I'll share Mr. Smith's memories of the cabin. Mr. Smith said that his aunt was living in the Smith homestead in about 1958 when it burned to the ground. A replacement home (your cabin) was purchased and moved to the present location on your property. It was purchased from a Dr. Johnson whose property was on FM 482 approximately south/southwest of Pleasant Retreat Church only on the next road to the south (FM 482). He said that there now is a smaller home on the front of that property with a larger newer home to the rear. 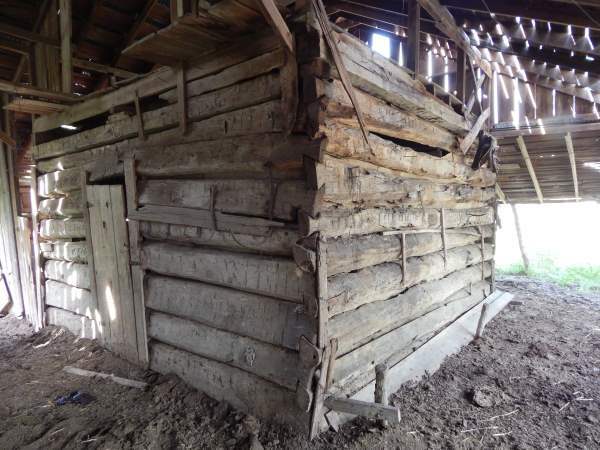 He also added that there once was a beautiful log barn deeper on that same property which would have been of historical significance since it was the last of the log structures in the vicinity. It no longer exists for whatever reason. 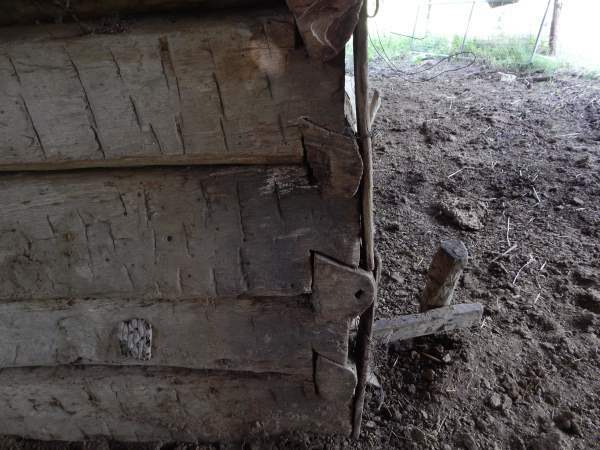 When I questioned the historic significance of your cabin, he said he believed that it was built about 1928-1930 and was very common construction for the time. First the floor was constructed, then 1 x 12 boards were placed vertically for the walls. The roof trusses were of 2 x 4 construction. Firing strips called G-batts (?) were placed over the joints of the vertical 1 x 12's to seal for drafts. Since it was such popular construction for the time and that there are still many examples of it remaining in the community, he feels that it has little historical or architectural significance. If you will note attachment #3, Mr. Smith said that your property -R006118- and Mr. Emmons property -R473502- were once one parcel of property owned by the Smiths. Back to #3, the square with the 'X' was the Knight General Store (Country Store) and Post Office. I failed to ask when it closed or was removed. On the north side of FM112 opposite the Emmons property was the Hobson Simmons General/Country Store (marked with a box with a circle in it). It was on what is now the Riger property - R305998. 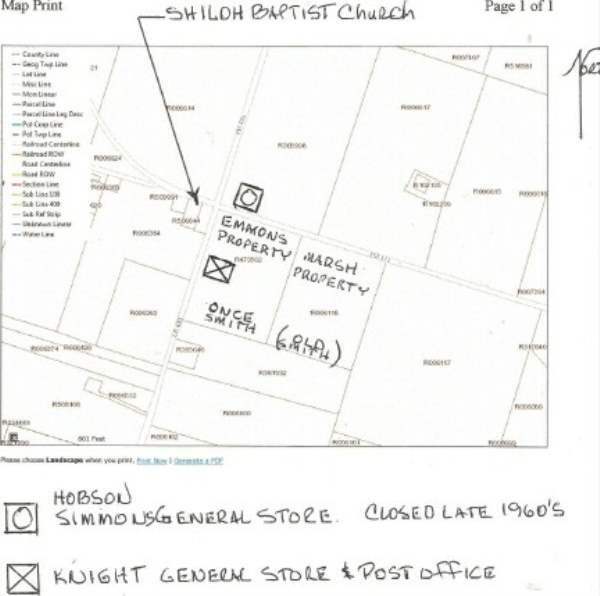 In summation, at one time, when your property and Mr. Emmons property were both owned by the Smith family, there might have been a small out-parcel where the Knight General Store/Post office was located. Possibly it was even leased and still Smith property. To steal a recent quotation from Mike Brown, Editor of the Rockdale Reporter: "The answer is lost in the mists, currents and eddies of history". Should you have any further questions please reply to this email. Let me know if you would like to talk with Mr. Smith and I will forward his telephone # with his permission. A sincere 'thank you' to Mr. Nathan Smith for taking the time to share his family heritage and knowledge of the community with us. Mr Brooks, Thank you so much for such a valuable background on the building, property and area. Though it may not be of general historical significance, it's still important to preserving the area history, for us. We may hope to speak with Mr Smith in the near future, as there is a donkey on the property we are trying to gather history on. Please feel free to share our contact information with Mr Smith and we will hope to chat soon.